A typical explosion detection sequence begins when a spark or other ignition source ignites particulate in a vessel. The resulting deflagration grows at an exponential pace as the material burns. 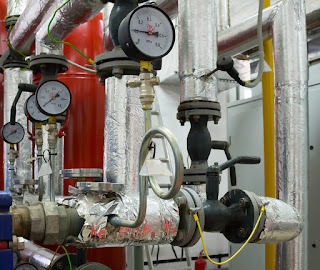 The pressure front preceding the deflagration expands, reaching the pressure detector connected to the explosion protection control panel, which processes 4,000 data points per second. The system alarms at a preset pressure level, and activates the gas cartridge actuators on the suppression and isolation devices. The system maintains a history event for future reference. 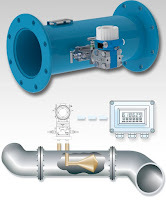 The gas cartridge actuator drives the piston on the isolation valve, closing the slide gate and provides mechanical isolation which prevents the propagation of the explosion through the duct work to interconnected vessels. The actuator opens a rupture disk on the suppressor bottle, that uses nitrogen pressurized to 900 PSI to drive suppressant into the vessel, filling the entire cavity and extinguishing the advancing deflagration. It is also necessary to isolate the deflagration, preventing the transmission of the flame into interconnected vessels. The system simultaneously opens a rupture disk on an isolation container that uses 500 PSI of nitrogen to drive suppressant into the ductwork, providing a chemical isolation barrier that prevents the propagation of the explosion. Fike’s explosion protection system effectively saves lives and property from explosion damage. The McCrometer V-Cone® flowmeter accurately measures flow over a wide range of Reynolds numbers, under all kinds of conditions and for a variety of fluids. 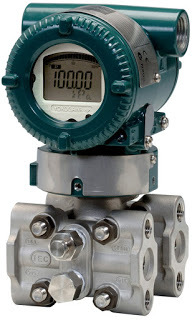 It operates on the same physical principle as other differential pressure-type flowmeters, using the theorem of conservation of energy in fluid flow through a pipe. The V-Cone’s remarkable performance characteristics, however, are the result of its unique design. It features a centrally-located cone inside the tube. The cone interacts with the fluid flow, reshaping the fluid’s velocity profile and creating a region of lower pressure immediately downstream of itself. The pressure difference, exhibited between the static line pressure and the low pressure created downstream of the cone, can be measured via two pressure sensing taps. One tap is placed slightly upstream of the cone, the other is located in the downstream face of the cone itself. The pressure difference can then be incorporated into a derivation of the Bernoulli equation to determine the fluid flow rate. The cone’s central position in the line optimizes the velocity profile of the ow at the point of measurement, assuring highly accurate, reliable ow measurement regardless of the condition of the ow upstream of the meter. The V-Cone is a differential pressure type flowmeter. Basic theories behind differential pressure type flowmeters have existed for over a century. The principal theory among these is Bernoulli’s theorem for the conservation of energy in a closed pipe. This states that for a constant ow, the pressure in a pipe is inversely proportional to the square of the velocity in the pipe. Simply, the pressure decreases as the velocity increases. For instance, as the fluid approaches the V-Cone meter, it will have a pressure of P1. As the fluid velocity increases at the constricted area of the V-Cone, the pressure drops to P2. Both P1 and P2 are measured at the V-Cone’s taps using a variety of differential pressure transducers. The Dp created by a V-Cone will increase and decrease exponentially with the flow velocity. As the constriction takes up more of the pipe cross-sectional area, more differential pressure will be created at the same flowrates. McCrometer V Cone Flowmeter Installation, Operations, Maintenace from Flow-Tech, Inc.
Multivariable Transmitter for Mass Flow Measurement from Flow-Tech, Inc.
Electronics must be protected from harmful effects of moisture. Where there is air, there is usually moisture. Certain conditions related to weather or process operation may result in moisture laden air that can enter device enclosures. Guarding against the formation of condensate on electronics, and providing for the automatic discharge of any accumulated liquid is essential to avoiding failure. Many instrument enclosures are provided with a means to discharge moisture. Make sure installation instructions are followed and alterations are not made that inadvertently disable these functions. Moisture also is a factor in corrosion of metal parts. Be mindful of the extra degree of protection provided by special coatings or materials that may be options for your instruments. Developing a thoughtful installation plan, along with reasonable maintenance, will result in an industrial process that is hardened against a long list of potential malfunctions. Discuss your application concerns with a knowledgeable instrument sales engineer. Their exposure to many different installations and applications, combined with your knowledge of the process and local conditions, will produce a positive outcome.